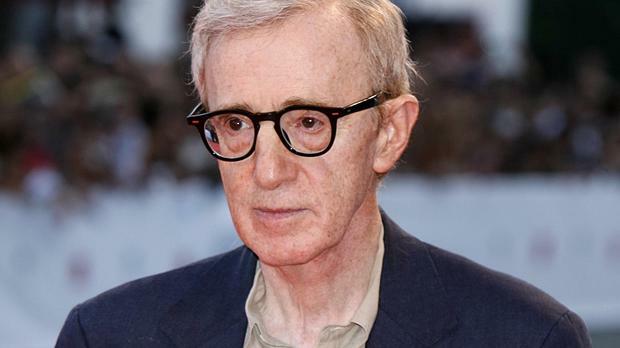 Woody Allen has revealed he would like to work with great actors such as Al Pacino, Robert De Niro and Jack Nicholson - but said they are always busy. The 78-year-old filmmaker, whose latest film is Magic In The Moonlight, admitted he dreams of collaborating with those stars as he appeared in his first podcast with MTV. "The guys are great but they are hard to get, they are always busy. I have called De Niro, I've spoken on the phone to Dustin Hoffman and Jack Nicholson," he said. "Nicholson was going to do Hannah And Her Sisters - I wasn't thinking of Michael Caine at the time as I wasn't thinking of an English guy. It would never have occurred to me." The director continued: "Now I am working with Joaquin Phoenix, a great actor, and Sean Penn [but] I just haven't had the opportunity to work with some of our greatest - Pacino, De Niro, Nicholson - they're as great as it gets. I would love to work with [Kevin Spacey]. If I had anything for him I would do it in a minute." Woody also admitted how he is never satisfied with his films, because they never turn out as he had expected. "I am always disappointed - there is always a big difference in what one sets out to make and what one ends up with. What you set out to make is in your mind... in fantasy, it is what exists on paper," he said. "Emma [Stone] is going to do this line and it will be great. Then when you do it Emma doesn't want to do those lines as they are hard to do - or... we have to shift to a different location because the sunlight is too harsh there. Or it takes her much longer to shuffle the deck of cards than you thought."